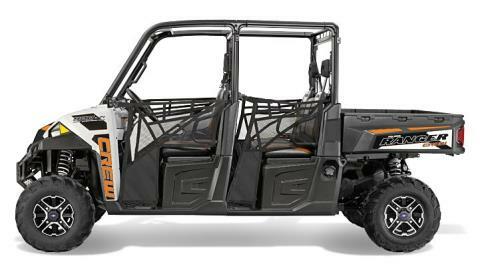 We designed the RANGER CREW 900 with an ideal seat height combined with wide foot clearance for easy entry and exit. Plus, experience a plush seating with adjustable driver’s seat, a full 10 in. of tilt steering adjustment and room for five adults. With a built in winch mount, buss bar under the hood for easy access and convenient dash access, wire routing to install accessories is extremely user friendly. The RANGER CREW 900 ProStar® 60 HP engine pumps out 20% more power than the 50 HP John Deere Gator™ 825i S4†. 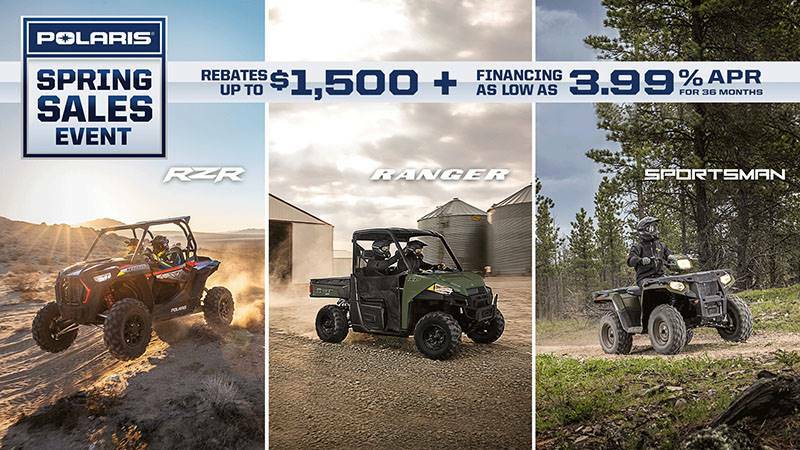 Even better, the RANGER CREW 900 puts out 35% more power to the rear wheels – 44.5 HP to Gator’s 33 HP†† – where your vehicle needs it most. Disclaimer: †All competitive comparisons are based on 2013/2014 models and on published manufacturer specifications available at time of printing. Gator® is a registered trademark of Deere &amp; Company. HP numbers are based on 2013 Executive Orders issued by the California Air Resources Board (CARB) ††All horsepower specs tested and verified by a third party entity. 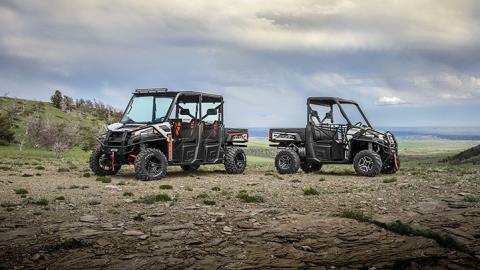 The Ranger Crew 900 ProStar® 60&nbsp;hp engine pumps out 20% more power than the 50&nbsp;hp John Deere Gator™ 825i S4. 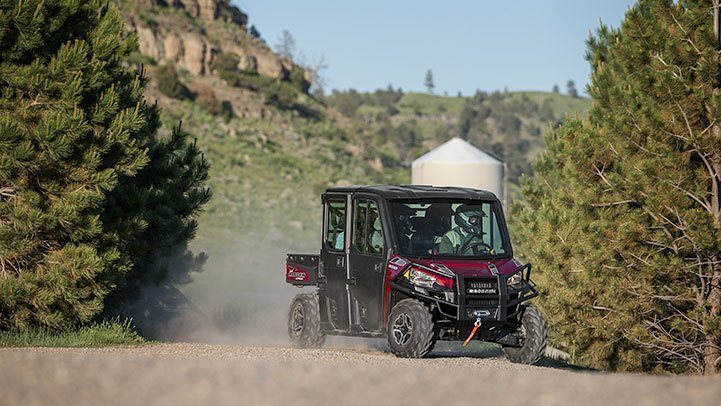 Even better, the Ranger Crew 900 puts out 35% more power to the rear wheels – 44.5&nbsp;hp to Gator’s 33&nbsp;hp – where your vehicle needs it most. With a monstrous class-leading 2,000 lbs. 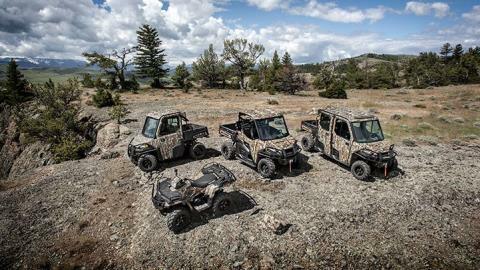 towing capacity and standard 2 in. receiver, the RANGER CREW 900 allows you to tackle the toughest jobs with confidence. Additionally, a class-leading 1,750 lbs. 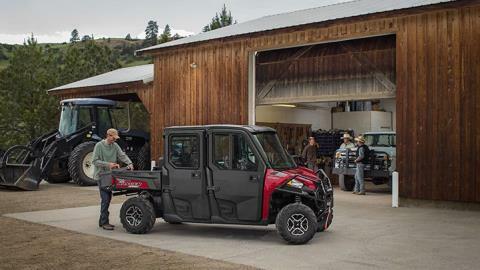 payload capacity is highlighted by a rear box with gas-assist dumping operation that can tote up to 1,000 lbs. of materials and a full-sized pallet. The smoothest, most responsive electronic power steering available, with Variable Assist for easier steering at lower speeds. Our EPS lets you work and ride all day with less fatigue. The engine management system (EMS) delivers optimal torque and horsepower at all speeds and altitudes, plus smooth throttle at all speeds and reverse. The EMS, paired with the ProStar® engine and clutching advantage, also allows for optimal fuel economy. 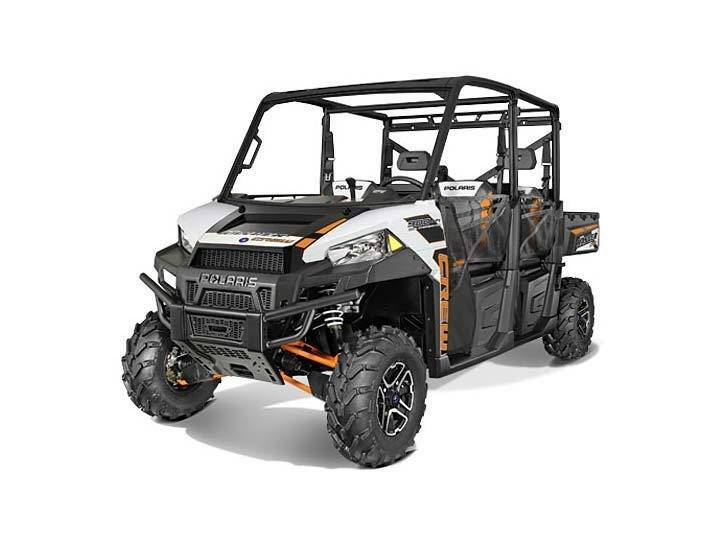 Polaris engineers designed the RANGER CREW 900 with a perfect balance of smooth riding, handling and turning radius from an ideal 113 in. (287 cm) wheelbase paired with 11.3 in. (28.7 cm) of ground clearance. Premium PXT tires mated to cast aluminum wheels for ultimate traction and durability, on the farm, jobsite or trail to the Back Forty. With the RANGER CREW 900, enjoy a monstrous 119 l of enclosed storage plus plenty of easy-to-access in dash storage that keeps items at the ready when they’re needed. A driver’s side fuel access for the large 10 gal. 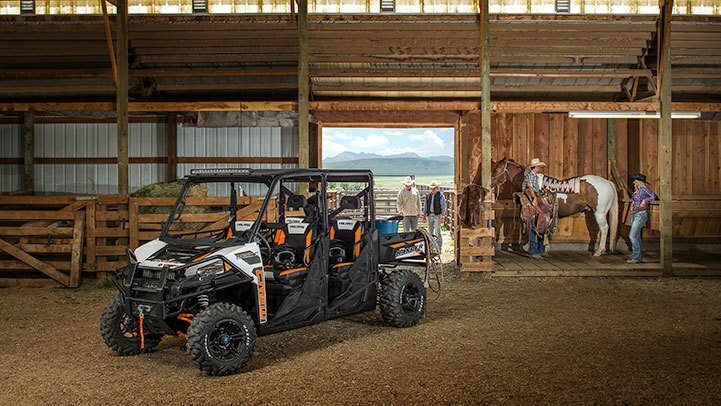 (37.9 l) tank makes fill-ups on the job or while trailering a breeze. And maintenance has never been easier. To check and fill engine oil, just raise the cargo box. Plus, there are plenty of grease zerks to flush joints of debris. 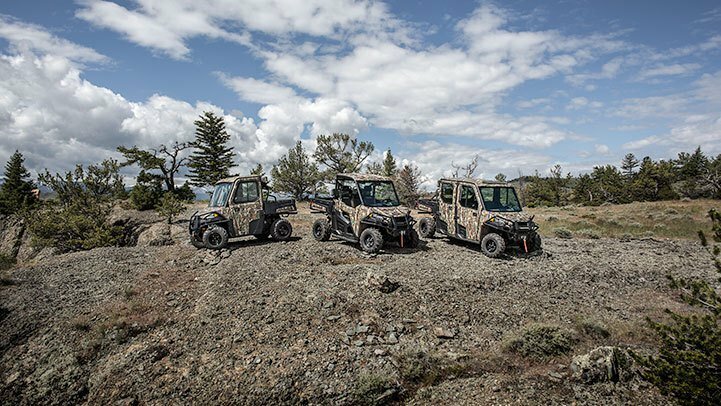 With the Polaris true AWD advantage, all four wheels engage automatically when your vehicle needs more forward traction and reverts back to 2WD when it doesn’t. 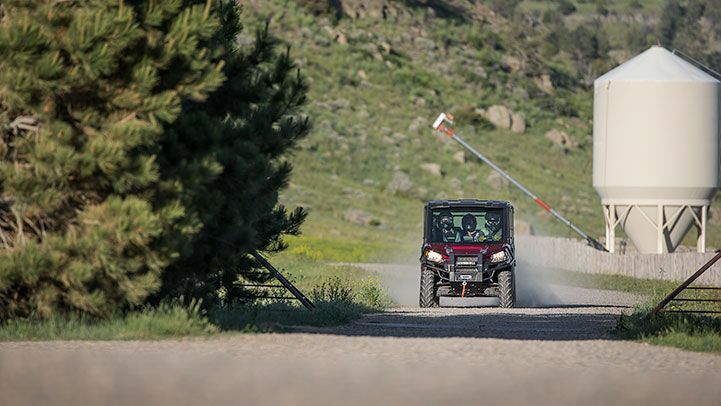 When in 2WD, the VersaTrac Turf Mode switch unlocks the rear differential for easier, tighter turns that won’t tear up your lawn. Welcome to the new standard in accessory integration, quality and fit and finish with the industry-exclusive Pro-Fit cab system. The highly modular cab system offers cab options from robust canvas doors featuring a poly windshield to premium automotive glass tip-out windshields and power window molded doors. Even better, the purpose built chassis features dedicated component attachment points to allow for extremely efficient cab installation or removal. 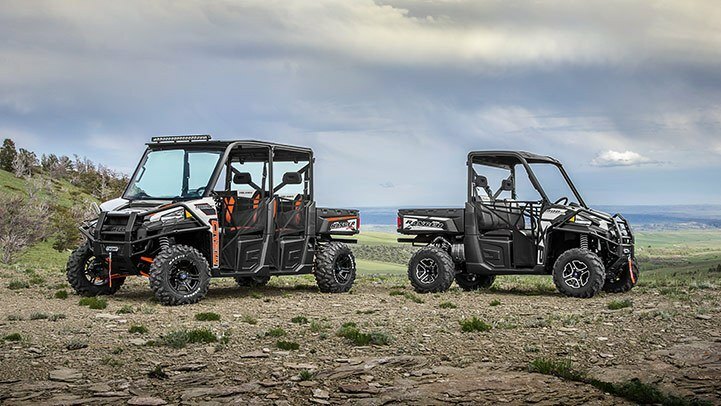 No matter your application or budget, LOCK &amp; RIDE® Pro-Fit cab systems ensure impeccable fit &amp; finish, rugged durability/quality, modularity, and ease of installation. Premium upgrades like interior liners, power windows, and tip out glass windshields give you the comfort you demand. A full 10 in. (25.4 cm) of Dual A-Arm suspension travel up front and 10 in. (25.4 cm) of Independent Rear Suspension travel keeps the ride smooth, even when hauling up to 1,750 lbs. (793.8 kg) of payload and towing up to a full ton! The RANGER CREW 900 headlight shape allows for an ideal beam spread in the 55W low or 60W high position. Automotive-style paint reduces scratches and scuffs while reducing clean-up time after dusty or muddy rides. 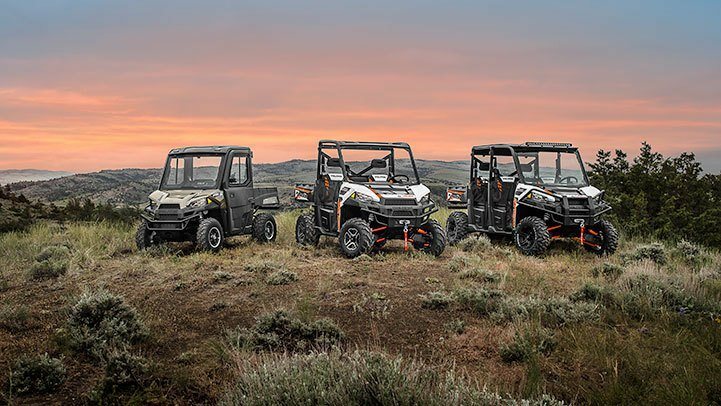 The RANGER CREW® 900 ProStar® engine is purpose built, tuned and designed alongside the vehicle – resulting in an optimal balance of smooth, reliable power. The ProStar® CREW 900 engine was developed with the ultimate combination of high power density, excellent fuel efficiency and ease of maintenance.